With this cooler weather, please keep in mind the cold weather uniform policies, as described in the Parent/Student Handbook. The most current handbook version can be found on the Plato Academy Seminole website, under School Documents. A solid white, blue, or red undershirt (such as a turtleneck) may be worn under the school polo or school shirt. Long-sleeve school uniform polo is available for purchase from Risse Brothers. Students may not wear jackets, coats, or sweaters that do not meet dress code in the classroom during the school day. Jackets, coats, or sweaters must either be Plato uniform jackets, coats, or sweaters or must be solid red, navy blue, or black with no logos, insignia or other items. Non-school jackets that do not meet this criteria must be removed in the classroom. Girls may wear solid white, red, black, or navy tights or leggings under their uniform shorts or skorts. 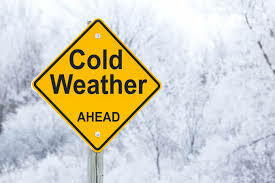 In addition, students may wear any color jacket, coat or sweater outside to keep warm. Outer garments can be worn outdoors regardless of uniform code as long as school appropriate and removed indoors.